The only album from Hawaii ever to go platinum was made by a 700-pound ukulele player. Released in 1993, “Facing Future,” by the late Israel Kamakawiwo’ole, is estimated to have sold more than 1.75 million copies in the U.S. and over 2 million worldwide. The album’s medley rendition of “Somewhere Over The Rainbow/What A Wonderful World” has been licensed more than a hundred times, for soundtracks, commercials and cell phone ring tones. But it’s been more than 17 years since “Facing Future” came out, and since then, there has been a drought of commercial hits from the islands. No other Hawaii-based artist, including the late Don Ho, ever approached the gross global revenues generated by Mr. Kamakawiwo’ole’s music, which executives at his record company estimate at more than $50 million. Jon de Mello, Mr. Kamakawiwo’ole’s producer and the founder and CEO of Hawaii’s biggest label, the Mountain Apple Company, is aiming to put Hawaii back on the international music map. Mr. de Mello records and distributes many of the islands’ leading musical dynasties, such as the Brothers Cazimero and the Beamer family. His father, Jack de Mello, put an orchestra behind Hawaiian music in the 1960s, with such hits as the “Hawaiian War Chant,” as well as Mr. Ho’s “Tiny Bubbles.” With the biggest musical library in the Pacific, the de Mellos have produced more than 700 albums and distributed hundreds more. A private company, Mountain Apple declines to disclose its annual sales, though it says it shipped close to a million units in 2010 out of its Honolulu warehouse and through digital sales. A sizeable portion of those are recordings by the late Mr. Kamakawiwo’ole, who died at 38 of obesity-related respiratory failure. The artist was struggling when he began working with Mr. de Mello in 1992, hoping to launch a solo career. The native Hawaiian musician, known as Iz, had already made 11 records with his original group, the Makaha Sons of Ni’ihau, which were released by a small label called Tropical Records. But he was still living on food stamps and facing crippling medical bills. Mountain Apple, which owns the copyright to the recording of “Somewhere,” and EMI Publishing, which owns the copyright to the composition, have made some canny moves, including copyrighting the song’s opening series of “oohs” in 1993. “That was incredibly smart,” says Jim Ed Norman, who began his career as a composer for the Eagles and later ran Warner records in Nashville for 20 years. That infectious opening rhythm has provided the backdrop for a number of commercials. Mr. de Mello is still working to capitalize on Mr. Kamakawiwo’ole’s musical legacy. Late last year, he made a trip to London to discuss the re-release of “Facing Future” there with executives from Universal Music Group, which began distributing it in the U.K in December and licensed it throughout Europe. The “Somewhere” single was just named song of the year by Germany’s equivalent of the Grammy Awards. It’s gone double-platinum in Germany, selling close to a million copies, and spent 15 weeks on top of that nation’s charts. It’s also been a big hit in France, where it’s gone platinum. Meanwhile, Mr. de Mello is searching for the next Israel Kamakawiwo’ole. He’s facing some obstacles. Hawaiian artists and producers have tended to work within the insular local music scene, rarely looking beyond the islands for other markets for their music—or else have left Hawaii to launch their music careers. The local sound, which often draws on traditional native island music and fairly conventional pop, can be repetitive, making it hard to market around the world. “Hawaiians have been playing the same three chords for decades,” says Amy Ku’uleialoha Stillman, a visiting professor of music at the University of Hawaii and a Grammy-winning record producer. Hoping to bolster Hawaii’s music scene, Mr. de Mello and other music executives are backing a $1.5 million music-business education program called MELE (the Hawaiian word for song), an acronym for the Music & Entertainment Learning Experience. Based at the Honolulu Community College, the program offers classes in everything from audio engineering to intellectual property. Last November, Mr. de Mello joined Nashville-based record producer Mike Curb, Los Angeles film producer Chris Lee and about a dozen other entertainment executives for the opening of a new recording studio for the program in a gritty industrial neighborhood near downtown Honolulu. 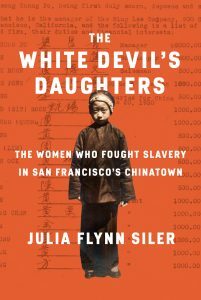 Write to Julia Flynn Siler at Julia@juliaflynnsiler.com.